Singapore, 26th May 2017—Singapore is the world’s second largest shark fin trader by value after Hong Kong according to a new report by TRAFFIC and WWF, who are calling on Singapore to improve transparency in the global shark fin trade through more robust monitoring. 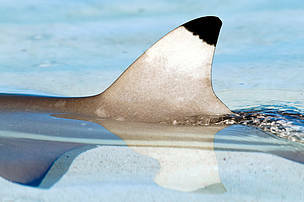 Analysis of Singapore-specific trade data showed that the country imported 14,114 tonnes of shark fin over a six year period from 2005–2014*. According to the report, The Shark and Ray Trade in Singapore, the country was also the world’s second largest re-exporter of shark fin after Thailand, accounting for 10% of the world’s total exports from 2012–2013, averaging 2,422 tonnes per year. In-depth analysis was hampered by a lack of detail in Singapore Customs’ import and export data, and the report recommends a number of changes in the way information is gathered. For example, Singapore Customs should begin recording shark data using detailed Harmonised System Codes (HS Codes), developed by the World Customs Organisation for the classification of goods. TRAFFIC and WWF have been informed by the Agri-Food and Veterinary Authority of Singapore (AVA) that this is underway. “Support to reduce the consumption of shark fin has grown as more people and businesses now believe in keeping sharks off our plates and in the oceans. The fact that Singapore is a significant trader means that the solution to the global shark crisis lies right here on our shores. More robust monitoring of volumes and protected species will set a positive precedent for other countries and contribute to healthier shark populations and oceans,” said Elaine Tan, Chief Executive Officer of WWF-Singapore. Plummeting shark populations due to overfishing has led to over 18,000 international hotels around the world banning shark fin from their menus to date. A study by WWF-Singapore in 2016 also found that the local dining culture is changing: 82% of Singaporeans had not consumed shark fin for at least a year due to shark protection (53%) and environmental reasons (44%).